This gorgeous, all-new, 3 Bedroom, 3 Bath home includes a spacious den and club room beside a large outdoor lanai. Outdoor living will be at its finest, with a custom designed swimming pool and decorative paver deck included. The Captiva home in Grand Palm is designed for entertaining, whether its family and friends or just everyday living. A spacious great room is open to the dining area and kitchen, where snacks and appetizers can be laid out on the quartz countertops or center island. The kitchen also holds a walk-in pantry to keep staples handy, and upgrades like a gas cooktop, double oven and fabulous hood vent are included. When you have a stay-over guest, the guest suite with private bath will be appreciated. The other secondary bedroom is also convenient to a bath. At the end of the day, retreat to the spacious master suite, which includes a bedroom with two walk-in closets and master bath with two sink vanities, garden tub, shower and water closet. This home is located in the award-winning community of Grand Palm in Venice. 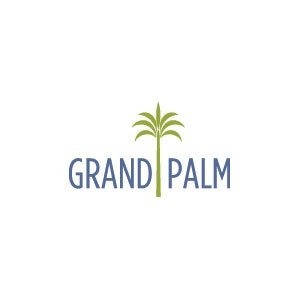 Featuring nature trails, a private island, resort-style swimming pools and more, Grand Palm is the neighborhood for fantastic Florida living. Call us today to book your private guided tour and learn more about this home.